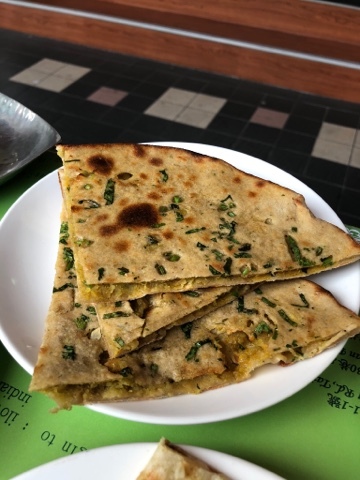 RECENTLY, I REVISITED THE ORIGINAL Mayur Indian Kitchen in Xinyi and was happy to find it even better than when I first wrote about it in 2012! (That rarely happens.) 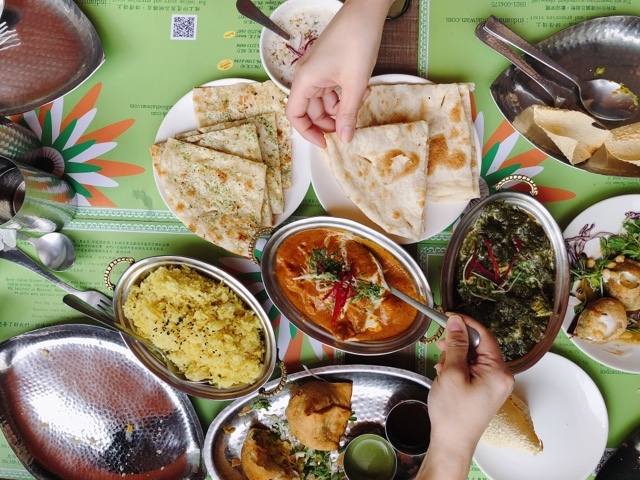 Since 2012, Mayur Indian Kitchen has expanded from one street side shop to six Indian restaurants across Taipei, all with different specialties including all vegetarian, buffet or late night with live music. 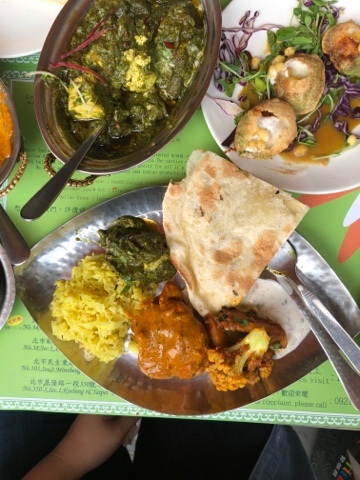 I'm not sure why I didn't return since I wrote about it six years ago, but Chef Mayur had kindly invited me over the years, as he sent messages here and there about the new restaurants he had opened. After I had posted some butter chicken that I had ordered after an ubereats fail from another Indian restaurant during Chinese New Year, he told me that my original blog post had brought so many customers to his restaurant, but that the Mayur Indian Kitchen I visited back then was completely different from my last visit and hoped I could see for myself. 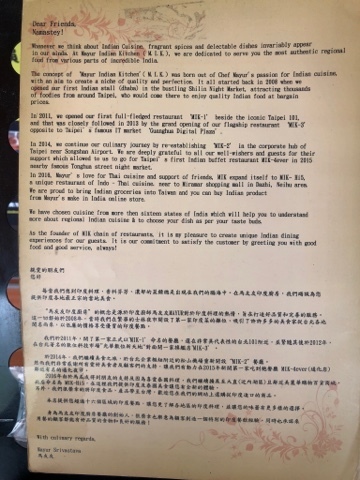 So I invited a few fellow Indian food loving friends to meet me at the Guangfu location, which was missing its sign above, but had doubled in restaurant space. 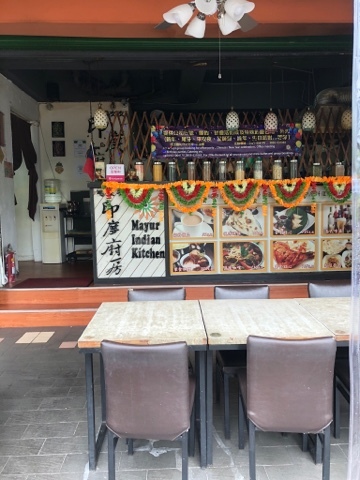 Mayur Indian Kitchen (MIK 1) now had indoor table seating in a festive bright red dining area, as well as the al fresco tables outside. It's still quiet on this street, so sitting outside in good weather isn't a problem. 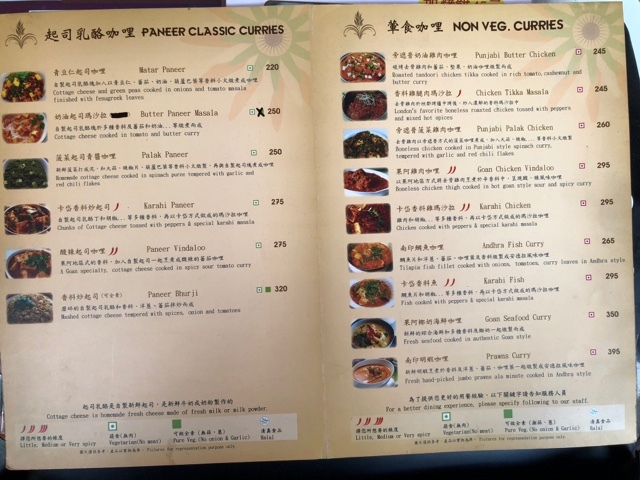 The current glossy menu had page after page of appetizers, tandoori, vindaloo, tikka masala, butter chicken, masalas, vegetarian curries, naan, parathas, and drinks, which affordable prices from NT$190-395. 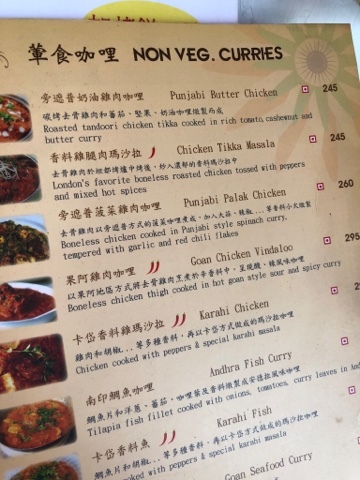 I could understand why a revisit was overdue because the restaurant had grown into a completely different experience than the one that was just starting out in 2012 which chicken on the bone in the curry and less than a dozen curries available. Thank you to Chef Mayur for the invitation and for your hospitality. (It's such a funny coincidence that my post in 2012 was exactly 6 years ago yesterday). 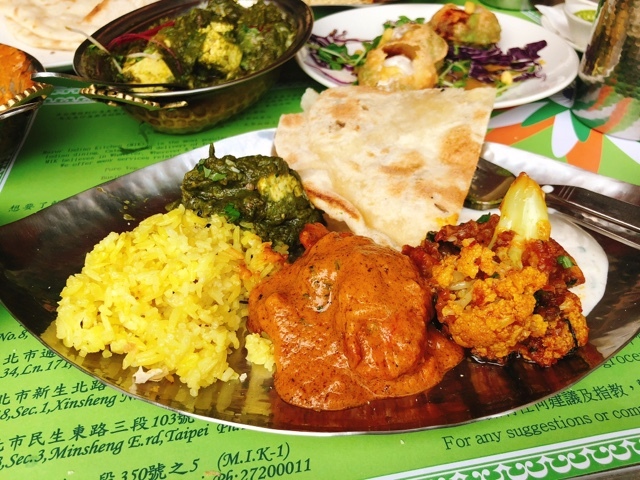 I'm a creature of habit, especially at Indian restaurants. I will tend to reorder the same things that I like, but I'm open to trying new things. 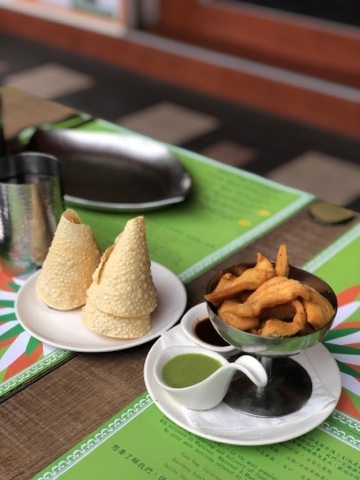 So while we put in our order for butter chicken, palak paneer, naan, paratha, aloo gobi and raita, some finger foods came to the table. 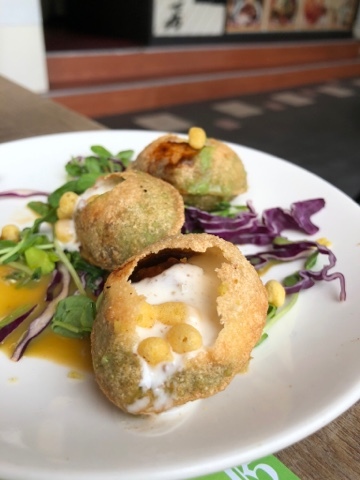 It was my first time trying these Dahi puchka from Kolkata (NT$150 for 6), which were small puffs filled with yogurt, tamarind and mint sauces. 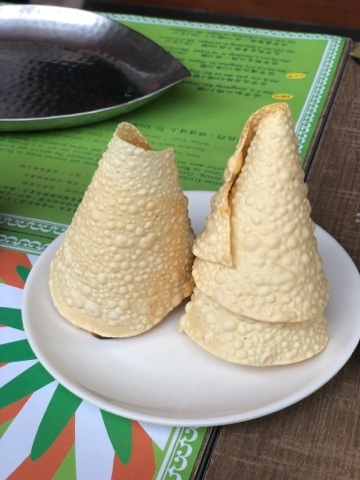 They were flavor bombs and slightly messy if you didn't eat it in one bite. 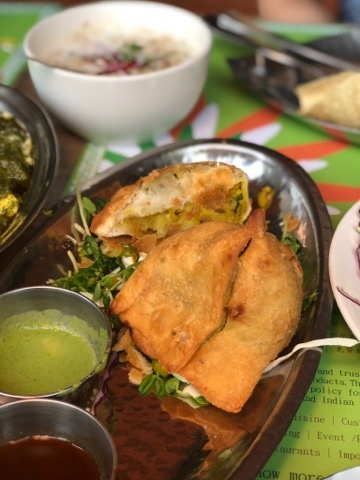 A lighter way to start the meal than the more well known Punjabi vegetarian samosas (NT$135) dense with potatoes and peas. 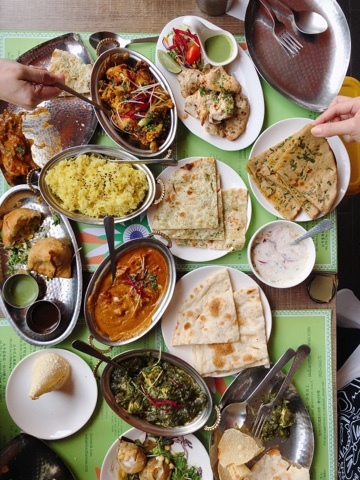 Soon our table filled with curries, naan, rice and vegetables. After a few photos, we dug in. 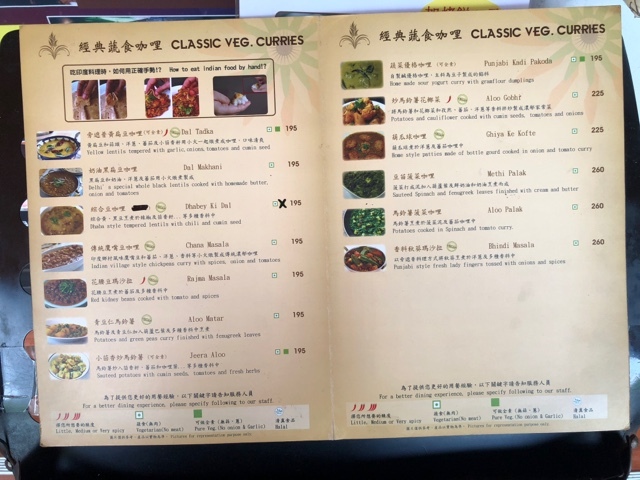 Our favorites were the butter chicken (NT$245) which had that classic sweet and slightly spicy addictive sauce, and surprisingly the recommended aloo gobhi (NT$225), which is curried cauliflower and potatoes. It is a MUST ORDER. I used to order aloo gobhi all the time in the states, but sometimes you get more potatoes than anything else. Mayur Indian Kitchen's version had strong cauliflower game where the cauliflowers were just the right texture and was spiced without being heavy. Such a happy meal as my friends and I used the naan to scoop up every last bit of the butter chicken curry and filled our plates and bellies with food. I loved everything. 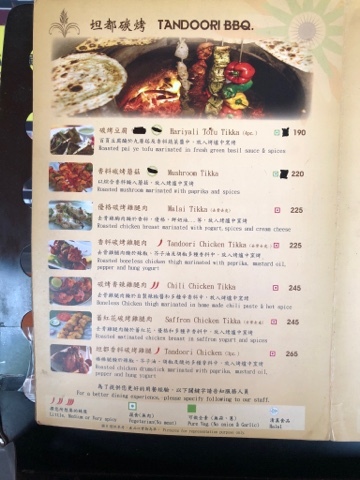 The only thing I probably wouldn't reorder is the Malai Tikka (NT$225) which was not as juicy or flavorful as I've had elsewhere. Next time I'd try the tandoori chicken. MIK 1 also still only serves yellow rice, which I noted on my first visit. In my conversation with Chef Mayur, most people in India typically eat regular rice and not basmati rice because it's more affordable and it's more filling. 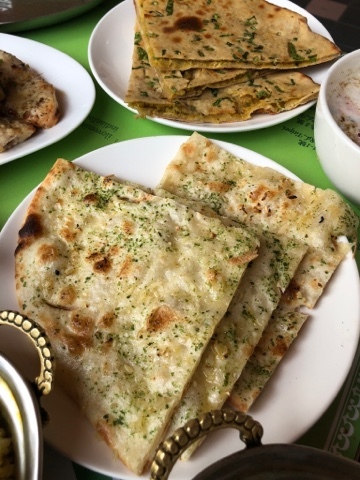 Otherwise there are 18 types of naan, roti and paratha to order from, including garlic chili naan and sweeter coconut naan or cheese naan. 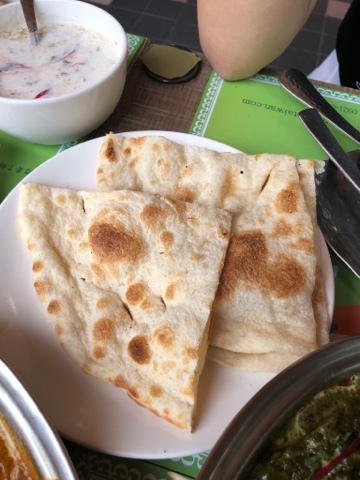 We ordered three- plain, garlic and aloo paratha, for the three of us and it was more than plenty. 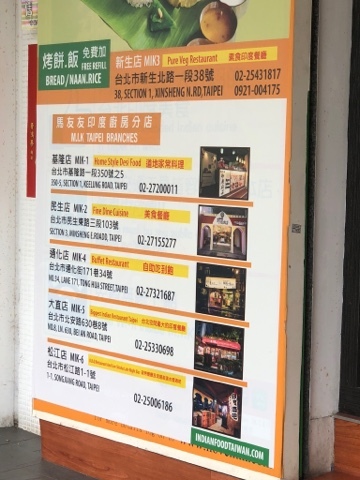 A large sign outside the restaurant displays the new exclusively vegetarian MIK as well as the addresses of the other locations. 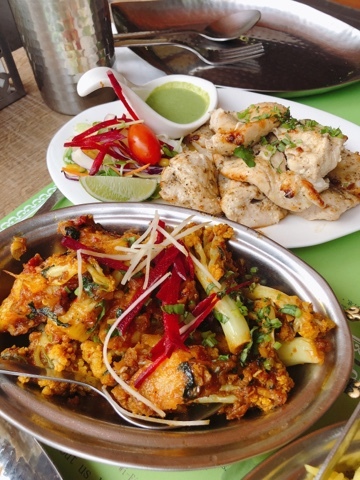 Rather than make each restaurant the same, Chef Mayur chose to give each one a specialty. 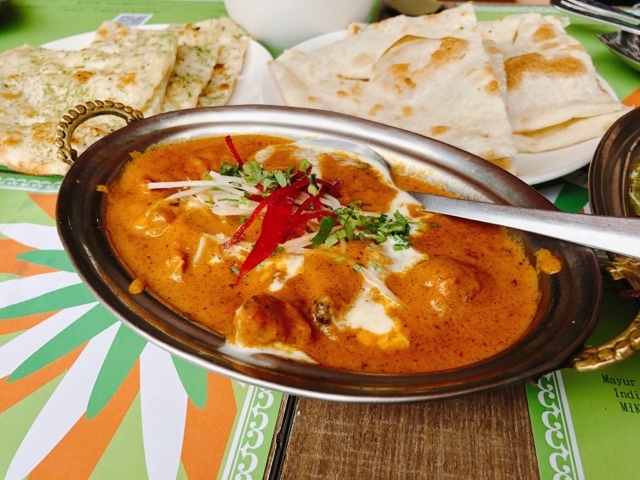 MIK 1 is homestyle Indian food. MIK 2 is more upscale. MIK 3 is purely vegetarian. MIK 4 is a buffet (but only on Fridays, Saturdays and Sundays). 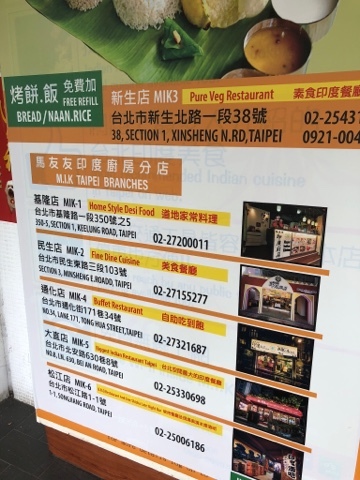 MIK5 is stated to the be the largest Indian restaurant in Taipei. 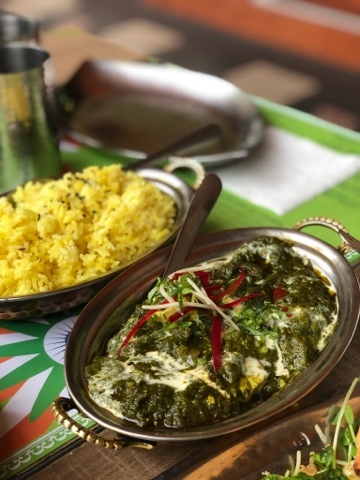 And last but not least, the newest MIK 6 is an Indian restaurant by day, hookah and live music restaurant by night, offering Indian food until 3AM. What was Chef Mayur's entrepreneurial secret to opening 6 restaurants in 6 years? 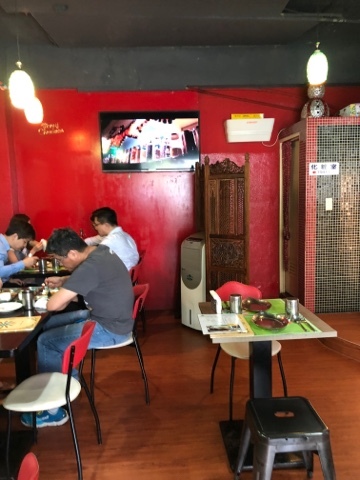 Chef Mayur wooed his family from India to Taipei in his expansion to helm and cook at the different branches, and his father is the chef at MIK 1, which serves classic, homestyle Indian dishes. “My father cooks food for our guests just like the way he used to cook for our family. 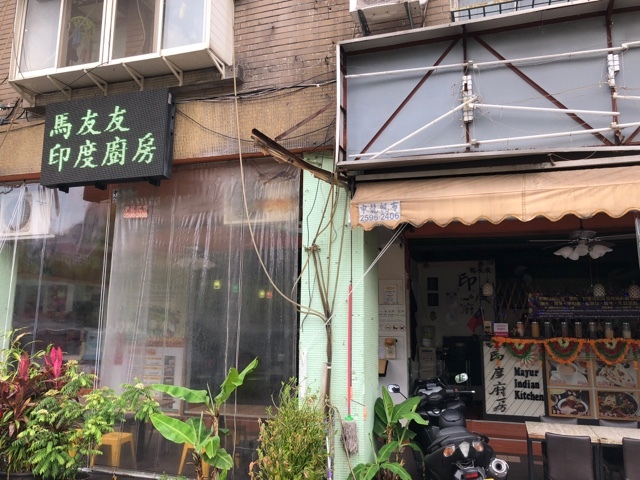 In fact, he treats all MIK customers as our family guests.” And to find that in Taipei is such a treat.